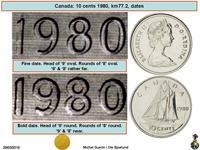 Arnold Machin O.B.E., R.A. was a British artist, sculptor, coin and stamp designer. 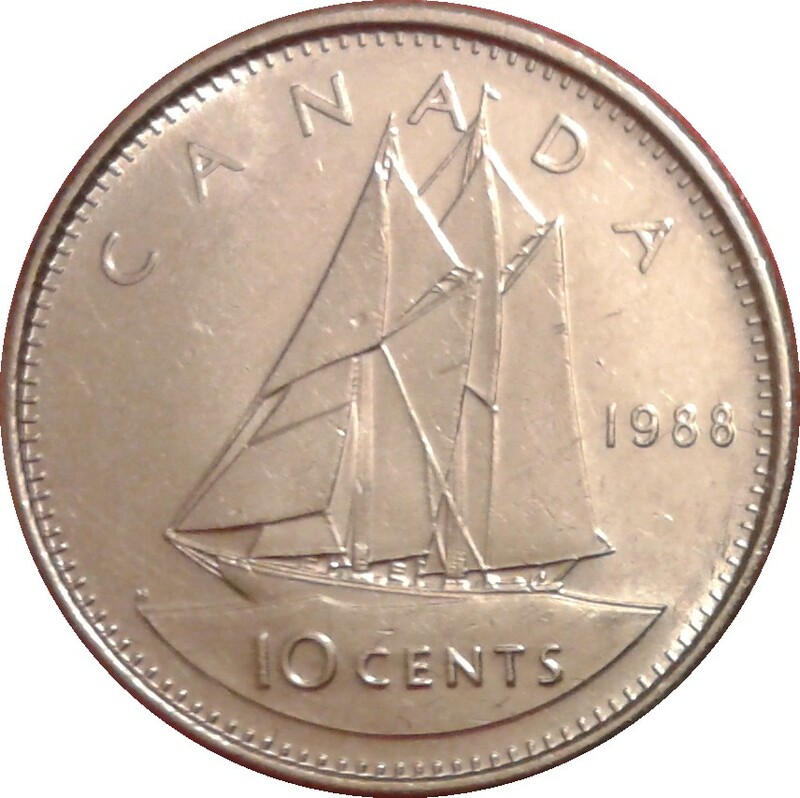 The Bluenose under sail, a Canadian schooner from Nova Scotia, a celebrated racing ship and a symbol of the province, is surrounded with the facial value and the inscription "CANADA"
Emanuel Otto Hahn (30 May 1881 – 14 February 1957) was a German-born Canadian sculptor and coin designer. 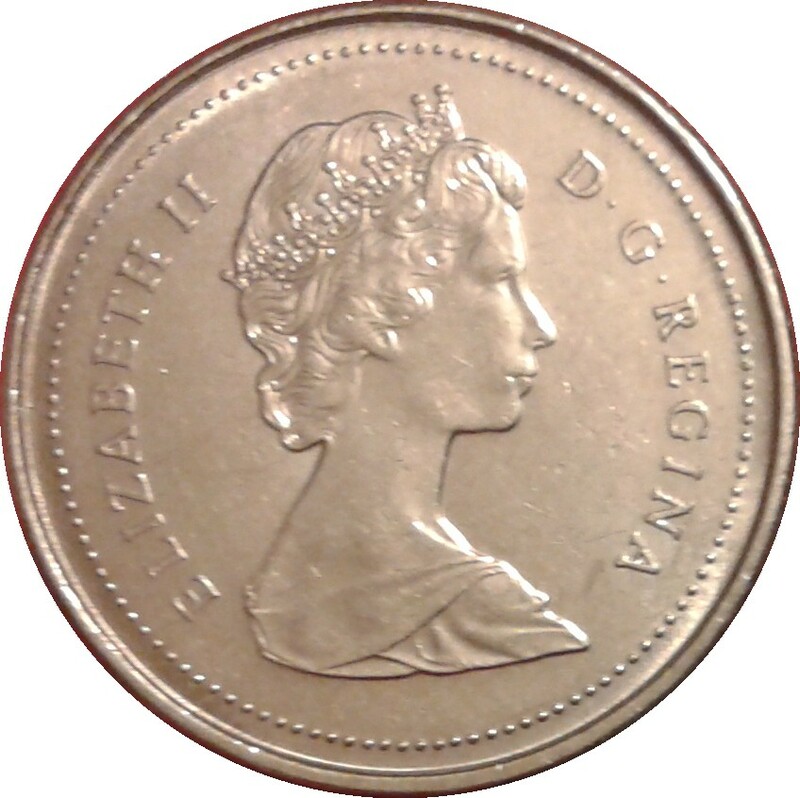 He taught and later married Elizabeth Wyn Wood. 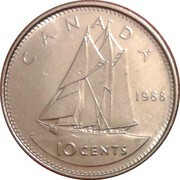 He co-founded and was the first president of the Sculptors' Society of Canada. 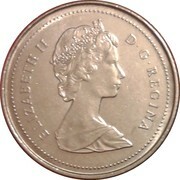 1969 25 Large date, very rare. 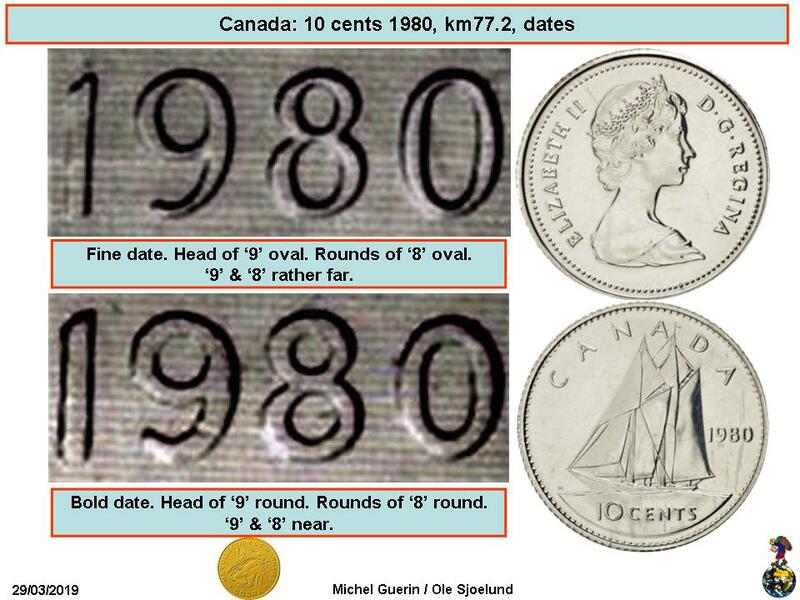 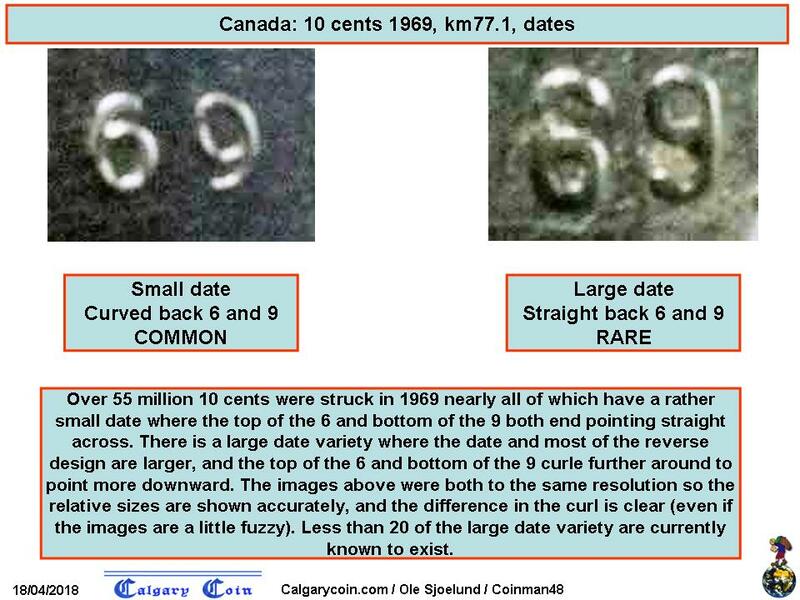 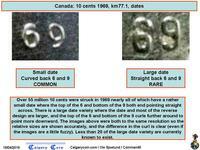 1980 170,111,533 0.26 0.24 0.81 KM#77.2 (smaller bust) Bold date, wide "0"